Justine Manzano’s attempt to put all of the pieces together and make a writer! Sucker Literary is coming to Pieces of the Puzzle! We interrupt my regularly scheduled postings for a quick announcement! As I’ve previously mentioned on this blog, I have joined the staff of Sucker Literary as a reader for their Anthology, Volume 3. Now, Sucker is hosting a blog tour and this blog is their July 30th stop! 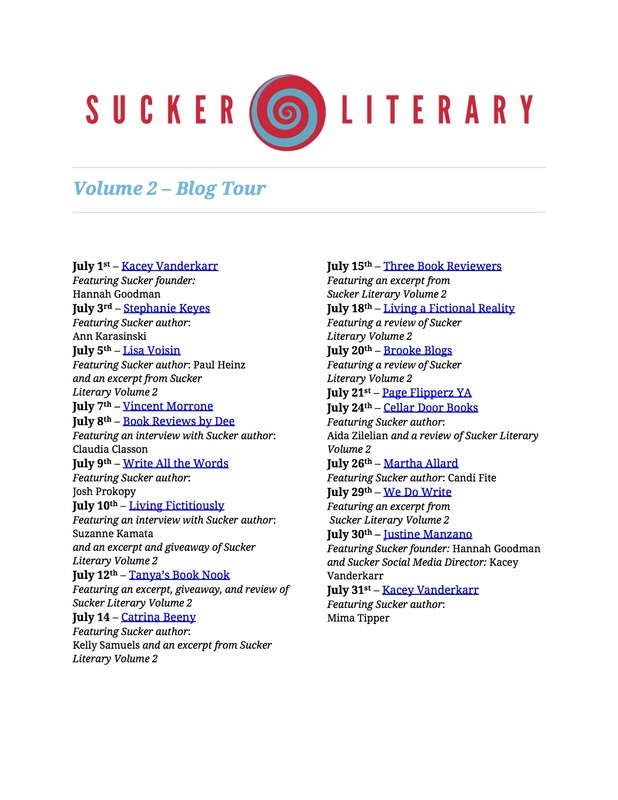 Please see below for a list of stops on the blog tour, and please visit www.suckerliterary.com for more info about the lit mag and the blog tour. And please check back here in the beginning of next week for a blog on the moment I realized I was a writer. Thank you as always for your visit!